Stay in one of our suites and get complimentary access to our AvaniClub Executive Lounge. Pop by for refreshments, dessert, cocktails and more. Complimentary WiFi and computer printing every day. Enjoy buffet breakfast and a la carte options, discounts at AvaniSpa and more. Treat yourself to the perfect holiday. 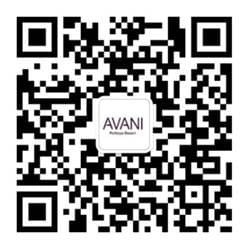 Should you wish to invite other guests or business partners to join you in the AvaniClub, please contact an AavniClub Guest Service Agent.